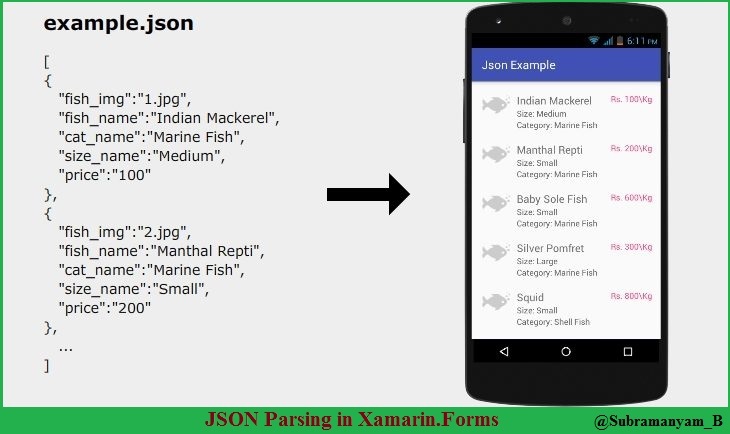 Previously we learned XML parsing in Xamarin.Forms. And this article demonstrates how to consume a RESTful web service and how to parse the JSON response from a Xamarin.Forms application. This article source code is prepared by using Visual Studio 2017 Enterprise. And it is better to install latest visual studio updates from here. This article is prepared on a Windows 10 machine. This sample app is targeted for Android, iOS & Windows 10 UWP. And tested for Android & UWP only. Hope this sample source code would work for iOS as well. 1. How to create Xamarin.Forms PCL project with Visual studio 2017? 2. How to check network status from Xamarin.Forms app? 3. How to consuming webservice from Xamarin.Forms? 4. How to parse JSON string? 5. How to bind JSON response to ListView? Let's learn how to use Visual Studio 2017 to create Xamarin.Forms project. Before to consume webservice, first we need to create the new project. On the File menu, select New > Project. The New Project dialog appears. The left pane of the dialog lets you select the type of templates to display. In the left pane, expand Installed > Templates > Visual C# > Cross-Platform. The dialog's center pane displays a list of project templates for Xamarin cross platform apps. In the center pane, select the Cross Platform App (Xamarin.Forms or Native) template. In the Name text box, type "RestDemo". Click OK to create the project. And in next dialog, select Blank App=>Xamarin.Forms=>PCL.The selected App template creates a minimal mobile app that compiles and runs but contains no user interface controls or data. You add controls to the app over the course of this tutorial. Before call webservice, first we need to check internet connectivity of a device, which can be either mobile data or Wi-Fi. In Xamarin.Forms, we are creating cross platform apps, so the different platforms have different implementations. So to check the internet connection in Xamarin.Forms app, we need to follow the steps given below. Go to solution explorer and right click on your solution=>Manage NuGet Packages for solution. Now search for Xam.Plugin.Connectivity NuGet package. On the right side, make sure select all platform projects and install it. In Android platform, you have to allow the user permission to check internet connectivity. For this, use the steps given below. Right click on RestDemo.Android Project and select Properties => Android Manifest option. Select ACCESS_NETWORK_STATE and INTERNET permission under Required permissions. Create a class name "NetworkCheck.cs", and here I placed it in the Model folder. After creating a class, add below method to find network status. 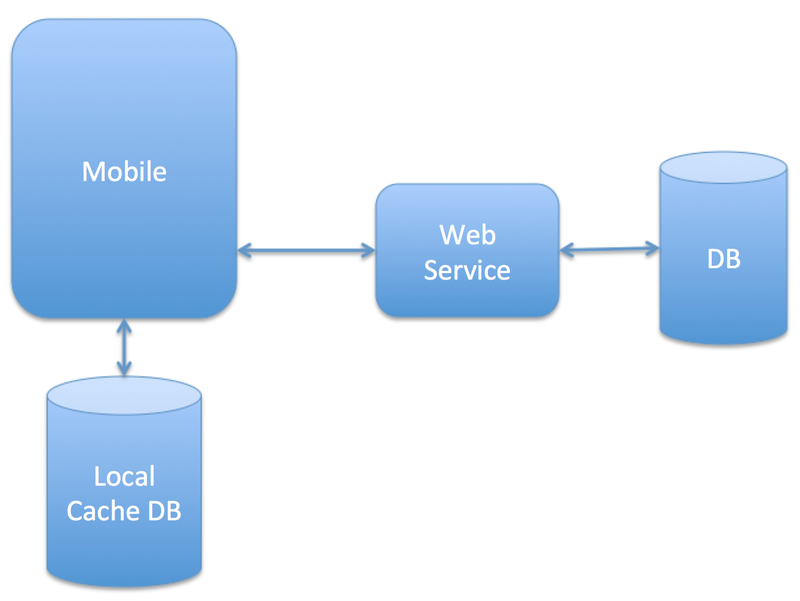 We can consume webservice in Xamarin using HttpClient. But it is not directly available, and so we need to add "Microsoft.Net.Http" from Nuget. Step 1: Go to solution explorer and right click on your solution=>Manage NuGet Packages for a solution => search for Microsoft.Net.Http NuGet Package=>on the right side, make sure select all platform projects and install it. Note: To add "Microsoft.Net.Http", you must install "Microsoft.Bcl.Build" from Nuget. Otherwise, you will get an error like "Could not install package 'Microsoft.Bcl.Build 1.0.14'. You are trying to install this package into a project that targets 'Xamarin.iOS,Version=v1.0', but the package does not contain any assembly references or content files that are compatible with that framework." Now it is time to use HttpClient for consuming webservice and before that we need to check the network connection. Please note that In below code you need to replace your URL, or you can also find the demo webservice url from the source code given below about this article. 4. How to parse JSON response string in Xamarin.Forms? Generally, we will get a response from webservice in the form of XML/JSON. And we need to parse them to show them on mobile app UI. Let's assume, in the above code we will get below sample JSON response which is having a list of contacts. Step 1: First we need to generate the C#.net class for JSON response string. So I am using http://json2csharp.com/ for simply building a C# class from a JSON string. And it's very important is to make the class members as similar to JSON objects otherwise you will never parse JSON properly. Finally, I generate below the C# root class name is "ContactList"
Step 2: In Xamarin, we need to add "Newtonsoft.Json" Nuget package to parse JSON string. So to add Newtonsoft.Json, go to solution explorer and right click on your solution=>select Manage NuGet Packages for a solution => search for Newtonsoft.Json NuGet Package=>on the right side, make sure select all platform projects and install it. Step 3: And finally, write below code to parse above JSON response. Generally, it is very common scenario is showing a list of items in ListView from the server response. Let's assume we have below JSON response from the server via webservice. See there is 3 different items in above JSON response and if we want to plan for showing them in ListView first we need to add below Xaml code in your ContentPage(JsonParsingPage.xaml). See in above code there is a ListView which was binded with relevant properties (name, email, mobile) which was mentioned in our class name called Contact.cs. You can directly work on below sample source code that is having the functionality of JSON parsing. You can also see overview of this article from below youtube video. For more videos please don't forget to SUBSCRIBE our youtube channel from here. Note: If you are looking for XML parsing sample, please visit here. MaxMunus Offer World Class Virtual Instructor led training on QLIKSENSE. We have industry expert trainer. We provide Training Material and Software Support. MaxMunus has successfully conducted 100000+ trainings in India, USA, UK, Australlia, Switzerland, Qatar, Saudi Arabia, Bangladesh, Bahrain and UAE etc. Thank you for sharing such a nice and interesting blog with us. Online Public School. I have seen that all will say the same thing repeatedly. But in your blog, I had a chance to get some useful and unique information. I would like to suggest your blog in my dude circle. really nice blog has been shared by you. before i read this blog i didn't have any knowledge about this but now got some knowledge. so keep on sharing such kind of an interesting blogs. hi you are doing a great job here.as am working SAP type project from past years and now i have to deal with PCL. So in PCL calling webAPI is a bit tricky can u res-post the code with below changes.that would be very helpful to me. what if we want to send some token with headers and parameter and what if we want send image bytes to server.how can we do that. nice blog has been shared by you.before i read this blog i didn't have any knowledge about this but now i got some knowledge. so keep on sharing such kind of an interesting blog. Thanks for sharing such an informative blog. You described it nicely. Quality writing. I get the same error at the same line of code. Can you show us, how did you create the webservice and where schould i save the api in my server? Thank u for your information and get more new update your page For More Details:Find Girls, Search Bride,Check Your Life Partner,SecondMarriageMatrimony. Thanks for sharing, but i have a doubt. In this line: ObjContactList = JsonConvert.DeserializeObject(contacts); Is (contacts) or (response)? Thank you very much, congratulations for making a good practice, I based on your project to use it with a weather ApiRest, when I finish it I share it. Are you sure you made this application in VS2017 as we dont get the option for PCL in VS2017. we get the option for .Net Standard instead of PCL. do you have any option to convert this .NetStandard to .NetFramework i tried but then the xamarin forms are becoming obsolete. Did you added below class in your model folder?? Thanks a lot Subramanyam Raju. For 2 days I have been trying to get an understanding on webservices & Jason deserialization.Yours is the best and simplest way to understand. Only one issue in this which I faced and want others to know. 1. I changed the contact to product. Other wise your blog is the best to follow.